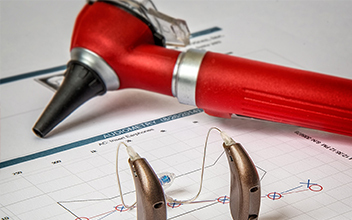 If you’ve decided to get help for your hearing loss, our Audiologists are highly trained in conducting hearing tests that will inform you of the type and degree of hearing loss you might have. More importantly, the results from the tests will help us provide and suggest the right hearing aid or other assistive listening device for you. At Northgate Hearing Services, we use a handful of audiometric testing to get a full understand of a patient’s hearing loss. The most common hearing test performed for diagnosing hearing loss is the audiometric test. The purpose of the test is simple: An audiometric test determines how well a person can hear by measuring how well sound travels to the brain. During the test, your audiologist will ask you to respond to a series of tones or words, by either raising a hand or clicking a button. The tones will vary in pitch (frequency, measured in hertz) and loudness (or intensity, measured in decibels). Each ear will be tested separately, as hearing loss can occur in different degrees from side to side. The results of the audiometry will be relayed to the audiologist in a graph. Our audiologist will decipher the graph and determine the type and degree of hearing loss for each ear. From there, our team will work with you to suggest solutions, such as hearing aids or other assistive listening devices that can help you hear better. Remember that hearing aids do not restore hearing, but they can help individuals with hearing loss live happier, less stressful lives. In this test, you will be asked to cover the opening of one ear with a finger. Then, standing about one foot behind you, your audiologist will whisper a series of words. Patients are asked to repeat the words they can hear. If words are not heard, the audiologist will continue to repeat them at louder volumes until you can accurately repeat the word back. A tuning fork test uses a metal, two-pronged device that emits a tone when it vibrates. During this test, your audiologist will strike the fork to produce a tone. After being hit, the fork will be placed behind the ear. The test is performed to determine how well sound moves through the ear. These tests measure how well an individual can hear and understand normal speech. Much like the audiometric test, an individual will be asked to respond to sounds — this time speech — relayed in different volumes. This test is often performed during a newborn screening to determine any potential hearing loss. During the test, a small microphone is placed in the ear canal. The microphone emits sound and can detect the inner ear’s response to the sound. This test sounds scarier than it is; during ABR testing, electrodes are placed on the scalp and each earlobe. During the test, you will be asked to wear earphones through which noises are sent. The electrodes track the brain’s response to the clicking noises and record those responses. Live speech mapping is a test provided by an audiologist that helps during the fitting and verification process of your hearing aids. This testing provides the most natural and effective listening experience to individuals with hearing aids. Using advanced technology, the audiologist can “see” what sounds you’re struggling to hear or hearing too loudly with your devices. 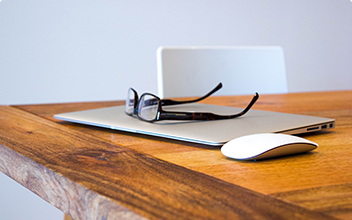 This allows them to make adjustments to your devices to ensure you get the best fit possible. This is another hearing test that evaluates the performance of the middle ear and the mobility of the eardrum. This exam also tests the effectiveness of the conduction bones by varying air pressures to see how the different components of the ear respond. Ultimately, this test will determine if you have an issue with your middle-ear function. Schedule a hearing test with us today!